SNMP (Simple Network Management Protocol) allows you to monitor virtually any server, workstation or network equipment. SNMP monitoring is the standard way to monitor network usage characteristics by monitoring the ports of routers and switches. A number of other parameters like disk space, CPU utilization & temperature of hardware parts, toner levels in network printers can be obtained by SNMP monitor. Our SNMP monitoring software allows you to set alert levels when you should be notified by email, SMS, instant messenger and other means. With SNMP monitoring software you can monitor any Unix/Linux servers, network equipment (that also usually runs some kind of Unix) and even Windows includes SNMP agent. SNMP monitoring also allows you to test and monitor performance parameters of many server applications (like database servers, mail servers). 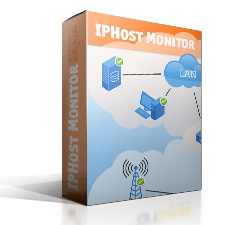 IPHost Network Monitor lets monitor any SNMP variable using any version of SNMP (v1/v2c/v3) protocol. 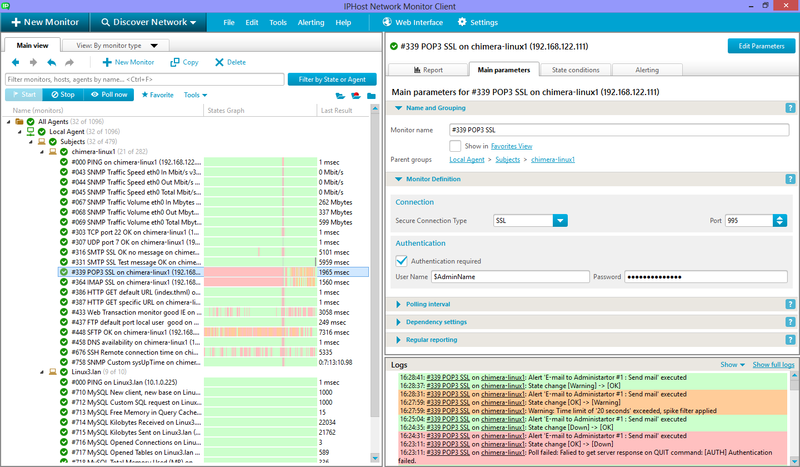 You can select what variable to monitor using built-in MIB browser, providing all variables supported by target network device, their current values and descriptions (the latter taken from MIBs). IPHost Network Monitor includes more than 100 most common MIBs to help you to setup SNMP server monitoring, you can also import some device and application specific MIBs to monitor performance parameters specific for your servers, applications and network equipment using SNMP monitoring. 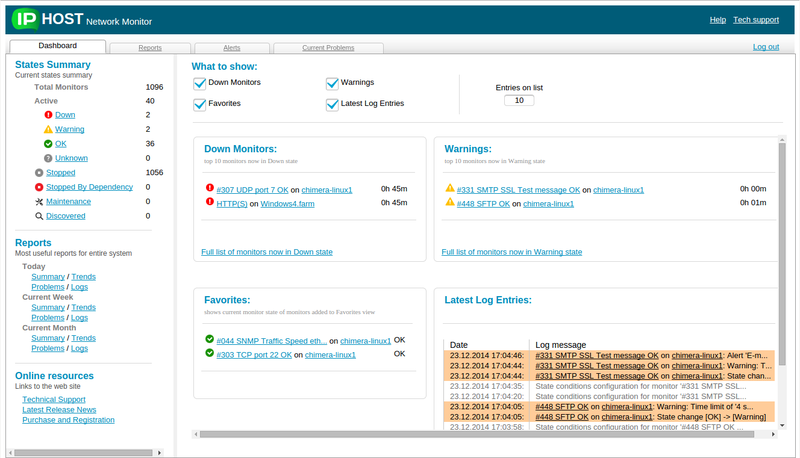 There are 4 predefined hardware resources monitors that collect their data over SNMP. You can watch various CPU load characteristics, several memory usage metrics, control used and available disk space on any filesystem, and keep track of varied processes statistics for any SNMP-enabled devices.